In the penultimate (we love that word here at Lent Madness) matchup of the first round, it’s Frances Joseph-Gaudet facing off against John Mason Neale. Six names, two saints, only one will emerge victorious and advance to the next round. Yesterday Vida Dutton Scudder skated to an easy win over F.D. Maurice, 72% to 28%. She’ll face Clare of Assisi in the Saintly Sixteen. Stay tuned for a special “Tuesday Edition” of Monday Madness in which Tim and Scott wax eloquent(ish) on a variety of Lent Madness topics. It will be epic, as usual. And finally, if you live in a Super Tuesday state, make your first and most important vote right here at Lent Madness, before heading out to those other polls. Frances Joseph-Gaudet was born 1861 in Holmesville, Mississippi, during the American Civil War. Of Native American and African American parentage, she moved to New Orleans to pursue her education at Straight College. She breathed fire into every aspect of her calling: as an educator, single mother, social worker, principal, philanthropist, and Christian. Joseph-Gaudet was a game changer in the world of African American prisoners and youth. She sought reform in the conditions and educational opportunities in prisons, and she brought clothes to the incarcerated. Joseph- Gaudet would often attend the juvenile courts, taking responsibility for youth offenders by bringing them into her home. Joseph-Gaudet wrapped these children and mothers in her love and care, giving them a chance at a better life. When her home became too small for the number of individuals she brought home from the courts, she purchased a small farm that became the Gaudet Colored Normal and Industrial School. Joseph-Gaudet served as its principal until she donated it to the Episcopal Diocese of Louisiana where it remained a school until the early 1950s. The building later reopened as the Gaudet Episcopal Home in 1954, as an African American children’s home. In 1966, it closed its doors permanently, but the proceeds from the sale of the land continues to fund scholarships for African American children pursuing higher education. Joseph-Gaudet later moved to Chicago, Illinois, where she died on December 30, 1934. The Episcopal Church added Joseph-Gaudet to the calendar of saints in 2006 for her work in bringing a voice to all people—black, white, old, and young—in the prisons of the South. Merciful God, who raised up your servant Frances Joseph-Gaudet to work for prison reform and the education of her people: Grant that we, encouraged by the example of her life, may work for those who are denied the fullness of life by reasons of incarceration and lack of access to education; through Jesus Christ, who lives and reigns with you and the Holy Spirit, one God, for ever and ever. Amen. John Mason Neale, the prince of hymn translators, was born in the shadow of St. Paul’s Cathedral, London, to an evangelical family in 1818. Neale was deeply influenced by the Oxford Movement, which stressed the apostolic character of the Church of England and sought to put it back in touch with its historical roots. Neale’s imagination was sparked by the vision of a church in touch with the medieval past and alive with the beauty of ornament, architecture, and song. 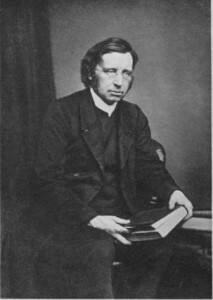 Neale was ordained a deacon in 1841, but his bishop refused to grant Neale a position based on his theological positions. After finally being ordained a priest, Neale was eventually appointed warden of Sackville College, a home for the elderly poor, in 1846. Refurbishing the chapel from his personal funds, he installed open pews, a rood screen, and two candles and a cross for the altar. The Bishop of Chichester, offended by this “spiritual haberdashery,” inhibited Neale from functioning as a priest. Stymied, Neale threw himself into translating and writing, while also founding the Sisterhood of Saint Margaret. There were multiple riots because of his theological and liturgical beliefs between 1848 and 1866. His inhibition was formally withdrawn in 1863. Three years later, Neale died from exhaustion at the age of forty-eight on August 6, 1866. Neale believed deeply in imagination and beauty as pathways to the holy. He won the Setonian Prize for Poetry at Cambridge ten years in a row, and while other members of the Oxford Movement had drawn attention to the old Latin hymns, Neale translated them with a beauty and vigor unsurpassed. Furthermore, he was the first to look eastward and to translate hymns from the great store of Eastern Orthodox materials. Neale communicated his faith with doctrines for the mind, beauty for the senses, and songs for the heart. Grant, O God, that in all time of our testing we may know your presence and obey your will; that, following the example of your servant John Mason Neale, we may with integrity and courage accomplish what you give us to do, and endure what you give us to bear; through Jesus Christ our Lord, who lives and reigns with you and the Holy Spirit, one God, for ever and ever. Amen. 218 Comments to "Frances Joseph-Gaudet vs. John Mason Neale"
Prison reform is such an important issue in our own time as well as in the time of Frances Joseph-Guadet. But how on earth did a single mother of Afro-American/Native American descent manage financially with all those kids?! Amazing! I think what she did was astonishing. A great example to live by. Both of them touched my hart and I REALLY could not pick so in the end I looked at the results and saw that Frances j.g was winning so I voted for john m.n to give him some support. I have deep respect for Neale but my heart is tugged to Joseph-Gaudet. She took people into her home and helped youth. What a woman.!!!!! I agree – this is a tough one for me, a long-time choir person! A pity the biography did not mention some of the hymns he edited: Of the Father’s Love Begotten; O Come, O Come Emmanuel; and All Glory, Laud and Honor. Very helpful. Swung my vote. Translating hymns, writing poetry, believing in the imagination and beauty as pathways to God, JM Neale gets my vote. I agree, translating so many of the hymns that touch us today brings beauty and moments close to God to so many of us. It was a tough decision because I greatly admire Joseph-Gaudet and her work but I have to go with Neale today. Onward, “spiritual haberdashery.” I’m for beauty and the imagination as a pathway to the holy. Those too are avenues of fire and voice. Take beauty to the prisons along with justice. loved the use of “spiritual haberdashery” and I greatly appreciate the Neale struggled in bringing the beauty of God through various symbolism. This pairing was a tough one and I know that voting for Neale is going for the underdog but as amazing Gaudet was with her service to the people in physical form we must not forget the spiritual as specs and being able to translate things for the all people to understand is just as awesome a gift. Neale got the vote for me today. Well put; my same thoughts. So well put, thank you for your comments about our founder! LOL. Great pun, Tready3. Thanks for the chuckle. Oh! for the days of liturgical riots! and spiritual haberdashery! Right Onward! Spiritual haberdashery. Gotta love that! Still, I voted for Gaudet because of the heroic passion of her mission in the face of insurmountable trials. Neale, although I greatly respect his ideals, was a man and white. Gaudet was black and a single mother during a time when being a single mother basically meant you were a whore. She took that and ran with it and I really have to love that! I only had to read one sentence today to decide! Anyone born in Mississippi, like me, gets my vote! Gotta support our Saints from Mississippi! There aren’t enough of us. Also, she helped youth in Louisiana. Lent Madness challenges us to identify what’s important in our lives and Christian faith, and of course our communities (and our home states) are key. I love reading the reasons for voting that people share. Amazing how varied arguments are – even for the same Saint! Neale gave “All glory laud and honor to you Reedemer King” and Come O Come Emmanuel to the English speaking church, his poetry has sustained generations. worthy as his opponent is, I give my vote to the one who gave us words to sing our faith. Thank you, Johanne, for naming the hymns he translated. If I had known Neale was the “All Glory, Laud, and Honor” guy, he would have received my vote. I voted for Joseph-Gaudet for her gift in mission, but now I wish I had two votes to give. I am awed by the story of Frances Joseph-Gaudet, a remarkable woman; her like is sorely needed in reforming prisons today. However, I am casting my vote for John Mason Neale because of his belief in beauty and the imagination as pathways to the holy. I have begun studying for an MA in Theology, Imagination and Culture which is hugely rewarding and full of exciting possibilities. I expect Frances to progress to the next round and will be very happy to see her do so. Thank you for your vote for our founder, JMN and good luck with your studies. What a wonderful path you are taking. Go Sisters of St. Margaret!!! As an introvert, and an associate of a religious order, I’m sorry your quiet witness is so consistently undervalued by the utilitarian bias toward “social work” that prevails here. This was a tough choice for me, but in the end “doctrines for the mind, beauty for the senses, and songs for the heart” drew me to the one I knew would be today’s underdog. I’m another Margaret for John, who would join me in singing praises for the hardworking, generous Frances. Neale wrote half my favorite Christmas carols: “Of the Father’s Love Begotten,” “Good Christian Men [now Friends] Rejoice,” “O Come, O come, Emmanuel,” and the eternal Good King Wenceslas. I’ll probably get to vote for Joseph-Gaudet next round. John Mason Neale, a God-loving soul of a poet, today. I’m feeling that right now! Thought I was voting for Joseph-Gaudet because of her unselfish work but I do love hymns. Might have to ruminate a bit. Tough call…but my vote today goes to the founder of the Society of Saint Margaret, key in the revival of the religious life in the Anglican Community. Early members of the sisterhood practiced nursing among the poor and the elderly, developing such a reputation that the founders of Children’s Hospital,Boston, invited the community to send sisters to run the hospital and provide care to those in need. Once that work transitioned,for decades, the sisters offered nursing care to the people of Roxbury, especially African-American women and their families, and opened a nursing home in that community, Saint Monica’s. My great aunt was a member of the Sisters of St Margaret. I remember visiting her at the convent at Louisburg Square finding the peace and quiet fascinating. I was also very curious about what her head looked like under the “whimple” (the white bonnet). Thanks for stimulating memories of a brave woman. Oh how wonderful to read this Kate! Please do find us on Facebook under the Sisters of St. Margaret. We’d love to connect. Thank you for expanding the biography! I will certainly do a little research on my own, as I’m pretty sure Joseph-Gaudet will win the day. I am a graduate of Children’s Hospital School of Nursing, founded in Boston by the Sisters of St. Margaret 10 years after they started the hospital. When I graduated in 1969 it was the 100th anniversary of the hospital and Sr. Susannah’s portrait was on the wall. Neale has my vote, Though Frances Joseph-Gaudet is very impressive. I related more to Neale, but voted for Frances. I think this election year has me thinking Christianity in action. I’ve been noticing the same thing about my picks – they’ve all been about action and caring. I hadn’t even connected my reactions to the political climate, but I bet that’s a major part of it. Frances gets my vote today. I’m all for social justice, but I’m moved by the beauty of Neale’s poetry and the fact he made so many medieval tunes and thoughts accessible to us all. Music hath charms to move a man’s soul….or words to that effect. The impact of Joseph-Gaudet’s work was limited only by her resources; Neale’s work has no limits. “Neale communicated his faith with doctrines for the mind, beauty for the senses, and songs for the heart.” Sometimes we need those to inspire us to do the work of Joseph-Gaudet. Inspiration wins this time. John Mason Neale won my heart and my vote. Over 20 hymn texts are attributed to him in the 1982 hymnal – more than for any other author. Famous hymns include Of the Father’s love begotten and Good Christian Friends rejoice with heart and soul and voice, both for Christmas; O wondrous type o vision fair for Epiphany; All glory laud and honor for Palm Sunday; Sing my tongue the glorious battle for Holy Week; Come ye faithful raise the strain for Easter; and many more. He was valiant in his theology and practice, and sadly unappreciated in his time – to the point where he died young of exhaustion. Who better to honor the glorious tradition of Anglican hymns? I voted for the underdog, in gratitude for the hymns and carols. But who exactly was rioting? The bishop? Kind of a startling statement just thrown in there without clarification. I voted for Francis because she brought boys home and looked after them. I agree with you, Oliver. Plus I have been to Holmesville, Mississippi and my last name is Holmes. This was an easy choice. Anyone who loved children so much gets my vote. The rest is just lagniappe !! Susannah eight years old and I voted for her for the same reason. That was a real commitment to the gospel. As a poet and lover of Neale’s work (and “spiritual haberdashery) I would naturally favor Neale, but Joseph-Gaudet did salvific work among people that I would not have the courage to do, so she gets my vote. Both draw my heart and imaginations. This is a tough one! Had me at “spiritual haberdashery” as that is my main role at my UU church. And riots too? Go J.M.Neale! As a single mother, educator in the faith, prison volunteer I had to vote for Frances Joseph-Gaudet. She is an example for all who work with youth and prisoners leading all to Christ. So hard to choose. Both of these saints speak to why I am Episcopalian. Can we fuse them, please? Thank you, Kim! I am struggling with this, too! I may have to immerse myself in some serious prayer before I make my decision today! And I am choosing NOT to consult the results as the day goes on, so that I won’t be tempted to vote for the underdog. I feel called to make an informed vote on this day! This was, surprisingly, the hardest decision so far this year for me. Although I went with Frances on the grounds of social justice, I must admire anyone accused of “spiritual haberdashery,” and a ten-year poetry prize winner. Beauty and spirituality go well together. Also, Neale’s collect was beautiful Good work, Derek. My vote goes to J M Neale. The Sisters of St Margarets that he founded are doing today what F.J Gaudet did. They work with the poor in Haiti founded a school, music program for the handicap and work with elderly and infirmed women. They have a jail ministry in the Boston area, educate with music, chapel services, localmeetings, their hospitality mission, retreats and more. Two of the Sisters who are priests may be found celebrating in Boston area churches when needed. They keep their founders goals alive today. Have to support J M Neale. Joseph-Gaudet is ‘naturally New Orleans’. God only knows how many lives she changed and saved. What a blessing! Otherwise as a long time choir member the ‘music man’ moves my heart and we all know ‘he who sings prays twice’. Please bring him back next year. to name a tiny portion. And cofounder of the Society of St. Margaret, a group of women who took care of the sick. And persecuted by an ecclesiastical bully! Poor man, he doesn’t stand a chance against an African/Native American female social worker. By 8:20 I still had no LM posting so I was forced to go searching so I could tame my nearly out-of-control urges to vote. And then to read of liturgical riots — PHEW! I think I have a taste of that frenzy. I’m a fan of “spiritual haberdashery” but the champion of education and prison reform gets my vote today. Besides, at the end of her life she was a Chicagoan and I tend to vote local. JMN got my vote, in honor of the wonderful Sisters of St. Margaret. Interesting match-up. Do we value social justice or worship more as an act of discipleship? Social justice trumps all in 21st century America. Wonder how the rest of the world would vote? Much biblical warrant for both views. Hard choice, inspiring stories about each and many good works, but as a chorister, I have to vote for Neale, who has given me so many beautiful hymns to joyfully sing. So, yesterday was the antepenultimate contest in the first round! My vote goes to J. M. Neale. The biography gave us a taste of his personality and activities. I’m a fan of spiritual haberdashery and beauty in worship; his doing away with closed pews was daring and right. When I found a list of the hymns he had translated, and realized it contains many of my can’t-do-withouts, – not to mention “Good King Wenceslas” – the choice became easy. “Spiritual haberdashery” and liturgical riots . . . . Really gets my juices flowing! However, I have yo cast my vote for France’s Joseph-Gaudet – born into slavery and then worked tirelessly to provide real help for the poor and needy. A good example for us to follow today. I voted for social action in previous LM pairings, but the singer and musician in me goes with Neale. So many hymns come to mind. I’m inspired by the woman who breathed fire into her calling. But my vote goes to the author of some of my favorite hymns, whose work helps us worship in the beauty of holiness. Flanking the west door of our church’s nave are wooden carved figures of Our Lady and St. Anne on the Gospel side and Blessed John Mason Neale on the Epistle side. I simply had to vote for him! What the community does while together in Assembly is what drives and steers the people of God. Social work is good – very good – but the work of the people, in and out of the nave, is better. As I read about Joseph-Gaudet, I was convinced that there could be no better candidate for the Golden Halo than the woman who came out of humble means and against all odds gave all for the poor, orphans, the prisoners, the outcasts, clearly living fully the life to which Jesus called us. On top of that, she lived and worked in the city of my father and grandmother, and now multiple dear cousins. Then I read about John Mason Neale. The music of the Church is what brought me back after a decade away as a young woman. Without it I would not have discovered my church that invites me to go deeper into a relationship with God and also reach out to the poor, the orphans, the prisoners and the outcasts. I relate to the concept of beauty and imagination as a pathway to God, and the fact that this can be so radical that it may inspire multiple liturgical riots. What a force he was! Fire breathing ladies who get out there and DO something are my favorites, although I go to St. Margaret’s Episcopal Church and love Neale’s words. I voted for Frances and am already worried about the rounds of 16 and eight when all my favorites are going to be opposing each other. All glory, laud, and honor is what drew me to the Episcopal Church, but Joseph-Gaudet faith and commitment won me over on this challenge. John Mason Neale wore himself out contending for beauty and traditional Christianity. In this era of warehouse churches and trite praise music, the church needs his witness. It seems like I always pick losers (more places than here), but Neale appeals to me for several reasons. Primarily for his marvelous translations of hymns (over 20 listed in H82: Jam lucis orto sidere; Rer­um De­us ten­ax vi­gor; Rector potens, verax Deus; O Lux beata Trinitas; and on and on), which I have loved for decades; but also for his work with the elderly poor (with which I closely identify), and for causing riots (!!) with his liturgical beliefs (“spiritual haberdashery” indeed!). Neale would have had my vote any other day, but Gaudet is my favorite “discovery” this lent. Being excited and inspired by a saint you’ve only just learned about is too great an experience to vote otherwise. The short note about John Mason Neale seriously understates his importance to the Episcopal Church we know today. Readers should have been re3minded that when the Latin mass was translated into English by the 16th century Reformers, the music of the Latin hymns was almost entirely abandoned, along with the use of candles on the altar and incense , all of which were considered too “Popish”. The anti-Roman sentiment in the English and American churches continued until late in the 19th century. The Oxford Movement reclaimed both the ritual and much of the music of the early church and made it accessible to modern worshipers in a form that could be understood and enjoyed. John Mason Neale was a central figure in the liturgical development of the late 19th and 20th centuries that we have come to take for granted. His influence continues to be felt in every parish throughout the seasons of each year and is deserving of recognition. Thank you, Bruce, for augmenting today’s information on Neale! My choice today was highly personal in that I share JMN’s attraction to “high church” liturgical practices, and my spiritual journey is gloriously paved with the words of many, many precious hymns. His translation work continues to impact Christians around the world, especially those who worship in English–so come on choir members – vote for the man whose inspiration breathed life into some of your favorite hymns! The beauty of the hymns and their impact on us as we sing them cannot be denied. I wonder how many descendants of the boys, children, and adults helped by Joseph-Gaudet went out into the world alive, healthy, educated and became seeds of the same belief that we are our brothers keeper- that we are called by Christ to feed the hungry, clothe the naked, shelter the homeless and give hope to the hopeless by bringing the Christ into their lives. Wish there were some way to research this. Christ calls us to action, not just to praise him and soothe ourselves with the beauty of Church music. I have to vote for this very giving woman. I see that Frances is already way ahead of John. So typical of our liberal religion, who will always vote for the black single mom social worker that doesn’t even mention God in her bio. So I’m voting for John who really worked for the church so hard he died of exhaustion at age 48. Now I’m going out to vote for St. Trump. St. Trump? Did I miss something somewhere? Would that we could all miss St. Trump! Prison reform is definitely top of the list going along with sealing records of non repeat non violent offenders so that they can lead whole full lives but let’s not forgot beauty within the church. The hymns and music lend to one’s contemplation of the All mighty. I voted for beauty this time. Being a Frances, also born close to the shadow of St. Paul’s, tough call! But Frances was such an extraordinary woman, she gets my vote. As I read about Frances Joseph-Gaudet, I know that I would be voting for this amazing woman who lived the true spirit of Christianity in such an exemplary way. Then I read “Neale believed deeply in imagination and beauty as pathways to the holy” and the lovely collect, and J M Neale had my vote with little angst. I’m still a little surprised. Now reading the comments and which hymns are his, I’m especially glad to have voted for him. As a choir soprano and a lover of all things related to music, I really wanted to vote for Neal and feel a bit bad for not choosing him, but the educator and woman in me admires Frances so much. To accomplish what she did as a woman of color in those times is nothing short of miraculous. As a John Mason Neale fan, I was disappointed with the biography presented. It did little to point out his remarkable work with the poor, and that the Sisters of St Margaret originally started out working in poor people’s homes during plagues, inspired by Neale. It would have also benefited by listing by name just a few of the remarkable hymn text’s he wrote or translated. In short, I think that he was underrepresented. My church follows the principles of the Oxford movement and has for much of its 150 years. Neale has my vote, even though I am a huge supporter of prison reform too. Tough call. Please, ca someone PLEASE explain to me the reccuring reason/thought process/rationale that is behind looking ot see who’s losig and voting for “the underdog”? They’re all saints, all are worthy, so what’s wrong with championing the “least of these”? It’s Lent MADNESS! I tend to have a hunch who is going to be popular and I vote for the other one (usually). It feels subversive in a fun way. I do the same with my measly proxy votes based on shares I own of companies. When their annual meetings are approaching, I go in and vote the opposite of the board of directors recommendations on every single position and question. I don’t do this in actual public elections nor expect ever to swing a vote with my shenanigans. I only do that if I totally want to vote for both saints (but am faithful to the rules — only one vote per voter!). That way I CAN vote for both — I can vote for the underdog first, and then for the winner in the next round. The point of Lent Madness isn’t to actually elect anyone, but to learn about the saints and to have fun. Sometimes when I vote I give serious thought to both candidates then choose the one I believe has had more impact on the life of the Church and the world. At other times my vote is decided by what my middle name is, or some other frivolous reason. In Lent Madness there are no rules about voting (except for “Vote Only Once”, brutally enforced). That makes sense and sound reasoning. Unklike “I’m voting for the underdog”. Another Mary vs Martha situation. Usually I side with Martha. I think she just has bad pr. Somebody has to “do the dishes.” This time I am voting with “Mary”—Neale. All the doers need the beauty of environment, music, and words to feed their souls and keep them centered in God. I voted for Frances because we talked about busting through barriers in EfM last night. The struggle for justice has its own beauty. Ugh! Another apples vs. oranges contest! But much as Neale’s bio makes my grateful heart sing, I have to stand by the Mississippi girl (my home by choice) … to do what she did would have been tough enough for any woman in that time and place, let alone one who would have been shunned by most in the white, black, and red communities. Wow! You go girl! Would you have followed your singing heart if Neale had been from Mississippi? Toughest call among many other tough calls during this season of Lent Madness. As a church “musician” (and I use that term loosely), I am drawn to Neale and on another day might vote differently, but today, Joseph-Gaudet gets this criminal defense lawyer’s vote. Her advocacy for those who our society generally wishes would just go away carries this day. Recognize that those “bad” people are created in God’s image just like us “good” people? See the need and address it? What a concept! What an example! Even though i am a Director of Music Ministries, I have to vote for Frances – she reached to the poor and the lowly at a time when such activity was not common. Well done, good lady! Thanks to all those who posted WHAT Neale translated. Some of my favorites are in there. Despite my love of music and the inspiring writeup, however, I have to go with Joseph-Gaudet, because she got things done despite all the roadblocks against her. I was for Joseph-Gaudet until I checked to see what hymns Neale wrote. Why weren’t some included in his bio? So much beauty has come to us through him. He gets my vote. Frances sold me when I read she was a social worker. I was leaning toward Frances, but I decided to go with Neale because I feel closest to God during service when singing hymns, so thanks, Neale, for providing me with a bit of Heaven during the liturgy! I feel like I am the only person on the face of the earth who does not like hymns or sung liturgy. Ita fiat. I am very grateful that my church has an 8:00 service on Sundays which celebrates the Rite I spoken mass with no music. This encourages me to concentrate on the liturgy without wondering if I’ll be able to actually sing the hymns. Joseph-Gaudet got my vote for the way she preached the Gospel of our Lord in her actions. While music and poetry are very important in life, I believe that physical needs must be met before the beauty of hymns or poems can be fully appreciated. I am not a singer. I would love to have just a spoken mass but my church is little and only one service. My heart is moved by Gaudet, but I have to vote for beauty. Art, artists, music, poetry – these are all foundational to a life of both prayer and of action. We take these things as society too much for granted, or discount their importance entirely. It is a great artistic and religious tradition for the “outsiders” to take up the voice of the people and to give it shape, form and music. It is amazing how much oppression there is from simply expressing thought and belief. I am grateful to Neale for taking a stand and for persevering in his work. Myra, you articulated what is in my heart. Beauty is often overlooked–and has been overlooked–as an important part of human life. It slips in through the eyes and ears and goes straight to the heart. A person’s age may change the idea of what is beautiful, but beauty itself is universal. And lest we start thinking that music plays no part in efforts toward social justice and concern for others, remember “We Shall Overcome” is based on a hymn. Again, you had me at social worker! Thank you for introducing me to Vita Dutton Scudder and Frances Joseph-Gaudet. I am glad to make the acquaintance of these two powerful women. In the struggle between forms of religion and personal taking in the downtrodden, I must go with Gaudet. Neale’s work may be better known by more people as the hymns he translated are sung, Being worn out in 40 years is worthy of a Martyr’s crown, The Golden Halo goes to one born in the lowest, but rose above in order to help others in lowly estate. What a tough choice. Today for the first time I’m going to visit a prisoner in our local prison as part of our church group, so I voted for Frances-Gaudet. She really exemplifies what a Christian life should be. The hymns translated by Neale are among the most beautiful, and really move my soul. Wish I could vote for him, too. As a member of a church that now meets in a community theater (St. Alban’s, Arlington, TX) because our former church home was taken away by an”orthodox” Anglican bishop, I know and appreciate the importance of making holy space each Sunday, and I experience the power of music to create that worshiping and rejoicing atmosphere. I had to cast my vote and give thanks for Neale, while also appreciating Gaudet’s important work. It is the hymns of the church that grabbed me for God at a very early age, taught me theology long before I went to seminary, and continue to educate and sustain my spiritual and practical life! One has to admire Frances for her good works, but the very special hymns translated by Neale inspired me to vote for his contributions. Creator of the Stars of Night, Of the Father’s Love Begotten etc., add so much to our worship! Although I have incredible respect for the work of Ms. Scudder, I just cannot resist a man who made such a major contribution to the wonderful music we have in the church. Admitted bias: Also a long-time choir singer. What Frances Joseph-Gaudet did is amazing and yet, so many of the wonderful saints that we have seen so far have also done amazing things for the poor and disadvantaged. What Neale did is a different type of amazing, one that we haven’t been able to honor too much in this year’s contest and so I am voting for him. OOPS! Wrong contestant, sorry. Brain is on major virus – apologies. I voted for Mr. Neale today and I thank God for the blessings of the Oxford Movement that influenced him. As, oft the only Anglo-Catholic in the room, I am greatful for the sacrifices he made for his commitment to a liturgical experience that open us up fully to the experience of God. In the next round, I will have the opportunity to vote for Madam Frances and her inspired work with disenfranchised. I voted for Neale in honor of my husband and everyone who has been delayed in their process to ordination but persevered in their call. Another struggle. Perhaps I’m remembering through rose colored glasses, but I don’t recall the choices being so difficult in last year’s early rounds. How not to choose a writer of such incredible hymns, which should have been mentioned by name in the bio? How not to choose a woman who dedicated her life to prison reform, going so far as to house the former prisoners. I went with Frances. I certainly admire the faith in action Frances, but this long time choir member and grateful lover of the Oxford Movement, had to vote for Neale. I have discovered, (partially through Lent Madness), that there have been many astonishing people who have done amazing things despite a background of poverty and/or discrimination. Some of their contributions last for many years. How does one weigh those contributions to our civilization or our lives , trying to live out our Baptismal Vows? Gaudet is an inspirational figure. Neale’s contributions are transcendent. My vote is for Neale. Neale’s love of music and beauty in our worship make him near and dear to my heart, but Joseph-Gaudet’s love of the poor and imprisoned won my vote. I have to vote for John Neale. I love to sing hymns and note his name often. Frances is quite saintly and I would have no trouble voting for her. This looks like a difficult bracket. Had to vote for the founder of the Sisters of St. Margaret. Have a great affection for the Sisters of St. Margaret as they founded the nursing school at Children’s Hospital Boston, my alma mater! JNM sounds to be a remarkable, faithful man- thanks for the additional information. Thank you for the kind words Christine. @Sisters of St. Margaret I will be visiting your website probably often! What an inspiration! Wow! Why wasn’t this in the bio? I wish I had voted for J. M. Beale. This isn’t a fair match up! Pitting a woman with such a hard luck story who did great things for her people is too different from a religious man who had conflicts with the church hierarchy. To really compare such absolutely different practices of faith and determination is just not fair to either one. Lent Madness, like life, is not fair. I understand that, but if the whole thing is to be rigged from the get-go why bother with the formality of voting? Rigged? What’s rigged, pray tell. ya make your choice and ya votes. We obviously have seen by now that people’s “choice” will generally be to vote for whichever HWHM worthy ticks off the most “diversity” boxes rather than based on any respect for the many diverse forms saintly witness can take. If I’ve figured it out after only a couple of years of playing then even more would Tim and Scott, who have been here from the beginning, have had to know that by putting J.M.N. up against F.J.G. they were foreordaining him to a one-round appearance. We’ve had a series of heavily skewed matchups now that the SEC have tried to play off as “part of the madness”, as if there were something quirky or daring about being absolutely bloody predictable. I don’t think anyone should be happy that “contestants” are winning by margins of 3-to-1. It says more about bad about our lack of imagination than about the merits of either saint. And I would suggest if you find, as some have commented openly, that the choice is not difficult, you’re not trying hard enough. (Conversely, I’m grateful to those who expressed that it was a hard match-up). In postulancy committee jargon, I’m an INTP. We can’t all be strong black women who stand up to The Man in dramatic ways: our poets, mystics, and hermits are valuable too. Many members, one body. Most mornings, I can tell who’s going to “win” before the first comment is left. So my question stands: why vote? I was getting a tad antsy when Oliver Eight Years didn’t lead off in the Comments section and finally, we read his choice. My choice was based on a basic needs assessment: it’s hard to sing when your stomach is growling from hunger…when the plastic bag over your head and shoulders is no longer protection from the elements and so on and so on. Frances tended to those unable to do for themselves in many ways that were long-lived and based on Jesus’ command: FEED MY SHEEP. John Mason Neale ministered to the elderly poor. He founded an order of nuns who ministered to the downtrodden even to our won day. He suffered persecution at the hands of bishops. There are 40 plus hymns of his in the church’s hymnal. He educated his daughters especially on languages and involved them in the work of translation. He fills my heart with joy on St Stephen’s Day with “Good King Wenceslaus”. His impact is much greater than is opponent. As a musician, I cannot vote for anyone but John Mason Neale. I could listen to and sing his hymns all day long!!!! And I would bet that “O Come, O Come Emanuel” and “Christ is Made the Sure Foundation” are favorites among people here, and many, many more!!!!! A really difficult choice today but I finally voted for Neale. Thanks for all the comments. They really enhance the Lent Madness experience. I know there’s no chance for the white dude but I had to vote for the man who reintroduced Benediction of the Blessed Sacrament to the Church of England. Haha, Geoff! White dudes always lose in Lent Madness! I’ve noticed that, too! Just as a matter of record — 4 of the 6 Golden Halo winners have been white dudes. True, but (I ask this seriously, I don’t recall) whom were they paired against? Not being familiar with Joseph-Gaudet, I originally assumed that I’d vote for Neale, the translator of some of my favorite hymns. After reading about her, I was so touched by her efforts on behalf of prisoners that she got my vote. “…I was in prison and you came to me.” (Matthew 25:36) Especially after doing some further reading and finding out that she held prayer meetings for African American prisoners, I was sold. What a wonderful witness. Is it just me , or do the match ups seem harder to choose from this year ? I find myself haveing a very hard time with a few of these. Nearly impossible choice! But hymns have saved my life more than once, and I would gladly march to a liturgical riot. I’m not surprised the most worthy Frances is winning, and will be glad to see more of her, but the long-suffering Fr. Neale has my vote today. Henceforth whenever I sing Neale’s beautiful hymns and hymn translations, I will ask Blessed Frances to intercede for us at the Throne of Mercy. And yes, I am thinking of the primary here in Texas, when allegedly Christian candidates vie with one another in bloodthirstiness and cruelty merely to win votes for themselves. They have their reward. Matthew 25. Can’t resist adding this practical joke attributed to Neale: [Neale] was invited by Mr. Keble and the Bishop of Salisbury to assist them with their new Hymnal, and for this reason he paid a visit to Hursley Parsonage [Keble’s residence]…[Keble] related that having to go to another room to find some papers he was detained a short time. On his return, Dr. Neale said, Why Keble! I thought you told me that the Christian Year was entirely original! Yes, he answered, it certainly is. Then how comes this? And Dr. Neale placed before him the Latin of one of Keble’s hymns for a Saint’s day—I think it was for St. Luke’s. Keble professed himself utterly confounded. There was the English, which he knew that he had made, and there too no less certainly was the Latin, with far too unpleasant a resemblance to his own to be fortuitous. He protested that he had never seen this original, no, not in all his life! etc. etc. After a few minutes, Neale relieved him by owning that he had just turned it into Latin in his absence. Although both “contestants” are worthy, I must vote for John Mason Neale because of the work of the Sisters of St. Margaret in Haiti. P.S. If anyone wants the list, just give a holler. I knew before even reading Neale’s story that Joseph-Gaudet would and should move on, but his life was lived following Christ’s example, and his music so beautiful I HAD to vote for him. Such a difficult decision. Having done volunteer work in prison I am drawn to Frances, but as a choir director, musician, reader, actor…. my vote goes to John. It was hard to vote against Neale and those 84 hymns, many favorites of mine. But in this day and age of over incarceration and need for prison reform and education, Frances Joseph-Gaudet had to get my vote. I’m so happy to have learned about both of these, formerly unknown to me, Saints of the church. I have 8 days until my 49th birthday. 8 days to get bold, offend a bishop with my “spiritual haberdashery,” cause some riots, and die of exhaustion…Neale has my vote! Hustle! ANd great good luck. Spiritual haberdashers unite! I haven’t managed to offend a bishop with my spiritual haberdashery for nearly 50 years — turned out he disapproved of my wearing my cassock after the service! This one was difficult. Then I looked up the hymns that Neale gave us and thought of the richness they have added to my worship for many years and had to vote for him, although I don’t think he will win. As a native of New Orleans I have some sense of the poverty, racial oppression, lack of decent education for the poor, and high rates of incarceration that have been unfortunate features of that part of our country for too long. Frances Joseph-Gaudet fought against these terrible odds and made a difference. She has my vote today. It was line-ball again for me today. As a hymn-writer myself, I went for JM Neale, suspecting that I’d get another chance to vote for FJ Gaudet. You have two matched evenly although so different. I can see myself working with Frances; I admire her dedication. His life was in such turmoil, I could not have identified with John had I lived alongside him, but now I treasure all the gifts he left us. Tough choice but I am going with Frances. I was really torn between Francis Joseph-Guadet and John Mason Neale. I am a choir member and being a Margaret, I am drawn to John Mason Neale, but FJ Gaudet’s faith in action got my vote in the end. Tough choice. My parish is deeply involved in ministry to prisoners and is working for prison reform. And yet, we are beneficiaries of the liturgical reform brought by the Oxford Movement. In the end I voted for Neale – mostly because a small portion of my doctoral thesis is based on the liturgical renewal championed by the Oxford Movement. My vote is my thanks for their work. Thanks for two worthy saints, previously unknown to me. They didn’t follow the straight and narrow path, so they inspire us all to go where we are called…. As a singer John Mason Neale is very important, but I had to go for Frances with her heart for the people. Sad that we’re still experiencing the problems of excessive incarceration among American minorities lo these many years later. This is one Super Tuesday ‘election’ in which I will be happy whatever the outcome. Despite Frances Joseph-Gaudet’s wonderful work, I had to vote for John Mason Neale, who so greatly transformed and enriched Anglican worship with his thousands of translations from both Greek and Latin hymnody and his own compositions, brought color and life to church architecture and decoration, helped strengthen monastic life, produced volumes of Biblical commentary and compilations of the Fathers, and wrote children’s books and was a parish priest besides, all in a short life troubled by poor health and “inhibition” by his dour bishop. And what would Holy Week and Easter be without his great hymn versions? “Come, ye faithful, raise the strain of triumphant gladness!” Neale is one of the people I would love to meet in Jerusalem the golden. Your favourite word might be ‘penultimate’ – but mine is ‘anti penultimate’ instroduced to me when I sang in a choir comprising almost entirely of wordsmiths. As a long-time choir singer, and perhaps somewhat influenced by the fact that our Diocese is currently reading Presiding Bishop Curry’s Book Songs my Grandma Sang, Ihave finally voted for John Mason Neale, for not only his wonderful contributions to the music of our church, but also for his fortitude in standing by his beliefs and principles. Partly also in honor of my dear late friend, John Neal, who was a staunch Episcopalian, and a loving and caring mentor for me in matters secular as well as spiritual. I got France’s vote. The reason why she won my vote is because she gave families who were not that fortunate, an opportunity. That’s why she got my vote. I had to think about this one. The decision was tough but I voted for Neale. I knew he would probably lose because usually barrier breakers trump creativity and beauty. Joseph Gaudet is very worthy but my heart said Neale. Plus I think his collect was noteworthy. In Louisiana, we pronounce her name Frances Goday (rhymes with Yoplait). Of those twenty-eight texts all but two are translations of Latin texts dating back as many as 1600 years. In his painstaking work of translating Neale made accessible not just the texts but the deep spiritualities, so different from each other and from ours, that inform them. Without them our Anglican tradition would be immeasurably poorer. For good measure one of the original texts, “Good Christian friends, rejoice,” not only gives us a rousing good sing but unites to our tradition a great carol tune that might otherwise, in the English-speaking world, have been relegated to the fringe constituencies of German scholars and aficionados of the macaronic. I mean no offense, and trust I give none, to Frances Joseph-Gaudet and her inspired and inspiring life, in voting for one who gave his all to recover and preserve a wealth of tradition and beauty to sustain us on our spiritual journeys. Not (almost) to mention the gift of the Sisterhood of St. Margaret, which to receive its due would demand as many lines of text as have been already expended here. Oops, sorry, forgot to delete the caption I used for the draft. Frances Gaudet did amazing things, I wouldn’t want to diminish that. But as a musician I resonate with Neale. Can one imagine a Christmas without “O Come, O Come, Emanuel” or “Good Christian Men, Rejoice!”? Two minds with a single, simultaneous thought: I envy the brevity with which you’ve expressed it! Frances Joseph-Gaudet reminds me of my grandmother. She gets my vote. AS much as I was impressed by Joseph-Gaudet’s contributions, I was left wanting to know more about Neale. This little piece fills in a few blanks. The more I learn about Neale, the more I feel I’ve been duped into voting for Joseph-Gaudet. Seems the fix is in. I’m free on Saturday. Maybe we could do this over? I’m from New Orleans so gotta vote for Frances. Need N.O. to be known for someone besides Mardi Gras! This is so hard!! I never read comments ahead of time so didn’t know how many of the hymns that kept me in church over the decades are in the hymnal because of Neale’s efforts. But as a Virginian who has had to listen to far too much hateful rhetoric in recent days, I just had to vote for Frances. She was a model of the kind of action needed in our church, our political system and our society. My sister-in-law has been very active in the Kairos women’s prison ministry, so I would be tempted to vote for Frances Joseph-Gaudet in her honor. Yet, as we approach Holy Week, and I anticipate the three sacred hours of Good Friday, and the moment when our (high church) congregation breaks the silence of contemplation and veneration of our Lord’s death upon the cross, with the a cappella plainsong hymn 166, I realize what a debt we owe to John Mason Neale. I thank Neale and the Oxford movement for enriching and nurturing my spiritual life and my faith with liturgical beauty and mystery. Now, more than ever, when our world is filled with hatred, strife and overwhelming tragedy, I need that moment of sanctuary and contemplation, recharging through all my senses, before I can go out and do my small part in the world again. FJG was a revelation and an inspiration and I planned to vote for her…then I read the hymns of JMN and was swayed to vote for him. I do this expecting FJG to win this round so her great work may be honored in the future rounds. In Lent Madness, everyone is a winner! You’d think John would be the obvious choice of a Roman Catholic, especially since we too sing a number of those hymns. And the focus on beauty and imagination as pathways to the divine is very important to me. But I’m voting for Frances in honor of the many African-American women activists who are creatively leading and growing the “Black Lives Matter” and related movements, which I think is the most important social justice issue in the US for our generation. Frances, pray for them! I do have a question about John and the Sisters of St Margaret, though: how is it that a man came to found a women’s religious order? Are the first members of the community also honored as foundresses? Did he think about founding a men’s religious order also? For creativity, beauty, style & the translation of some of my favorite hymns…l am ever so grateful. Without those hymns much of our faith would be less lively, to put it mildly. But without those who keep our feet to the fire with respect to our utterly broken so-called penal system, we as a nation will surely lose our soul. a large portion of our nation’s wealth (by which I mean the people who stand to benefit the rest of us by their many works and accomplishments) is being squandered and ground down with despair within our foul prison system.